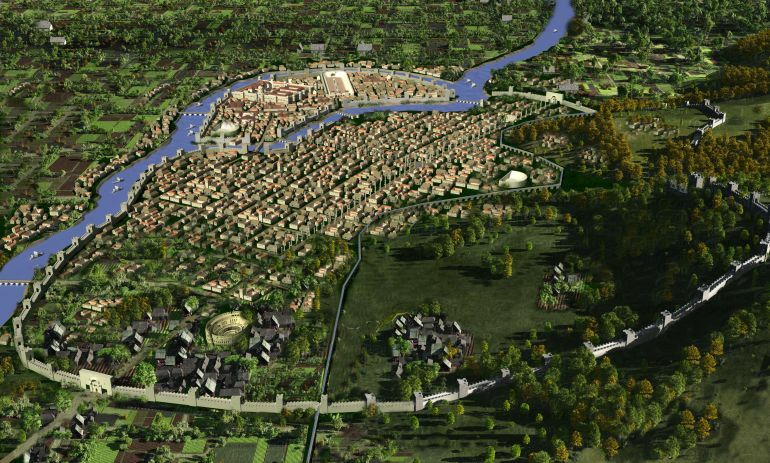 Antiocheia was a very important, rich city. There were mosaic schools and mints in the city. The ancient city of Zeugma in [the southeastern province of] Gaziantep might have been established by people who were trained here. 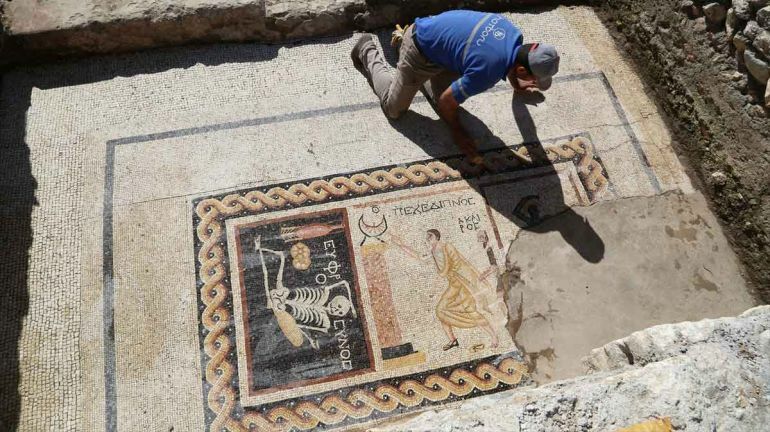 Antiocheia mosaics are world famous. There are three scenes on glass mosaics made of black tiles. Two things are very important among the elite class in the Roman period in terms of social activities: The first is the bath and the second is dinner. In the first scene, a black person throws fire. That symbolizes the bath. In the middle scene, there is a sundial and a young clothed man running towards it with a bare-headed butler behind. The sundial is between 9 p.m. and 10 p.m. 9 p.m. is the bath time in the Roman period. He has to arrive at supper at 10 p.m. Unless he can, it is not well received. There is writing on the scene that reads he is late for supper and writing about time on the other. 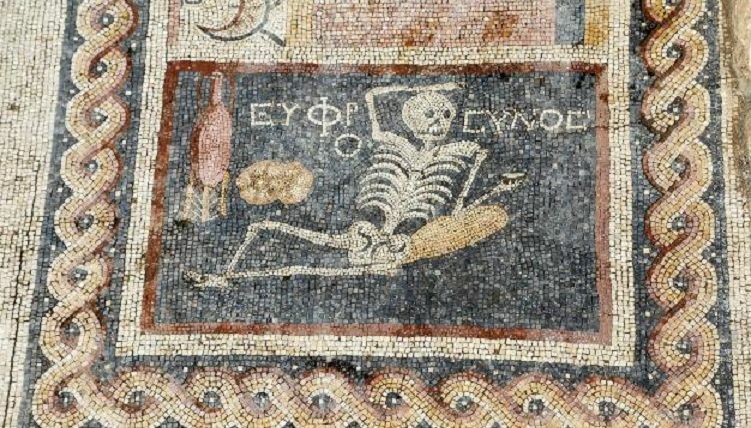 In the last scene, there is a reckless skeleton with a drinking pot in his hand along with bread and a wine pot. The writing on it reads ‘be cheerful and live your life. The article was originally published on our sister site HEXAPOLIS.